Congratulations! You have won an eVersion of the book of your choice from Martingale! You are sure to find a book with great shortcuts for your blocks. Go to their site, pick your book (make sure it has an eVersion), and email me. They will get in touch with you with directions to download it. (5) 1/2 yd cuts for a total of 2-1/2 yards of assorted flannels! As before, to enter the giveaway leave a comment (leave another one to tell me you follow my blog for an extra chance to win), and if you are a no-reply blogger, make sure to leave your email address (you can write it like this so you won't get spam emails: mary(at)everywhere(dot)com). Just tell me: What do you like or look for in quilting magazines? The giveaway ends this Friday, May 22, at 5pm, and the winner will be announced on Monday, May 25. Olá!A tradição diz que o primeiro comentário não ganha...rsrsrs .....BeijoGRANNNNNNDE! I like quilts that have something for everyone whether you are a newbie or have been quilting forever. :) Love flannel in kids quilts, it's so cozy. I like seeing quilts that can be done in a weekend or few days. I also like seeing ideas for quilts with precuts. I like tips and new techniques and quilts that the average quilter could make! thanks! Thank you for the giveaway. I love looking at all the quilts and seeing what new patterns I would like to try. In the magazines I don't subscribe to and purchase from the store I usually have seen a quilt on a blog that I really like and might want to make so I buy the issue it is in. I am a follower of your blog also on Bloglovin' and also via email. I like quilts that look complicated but are easy to piece, so that is what catches my eye in quilt magazines. Thanks. They are all beautiful, and the Stonehenge bundle is my favorite. It would be wonderful for landscape quilts. Thanks for the opportunity to win! When I first page through a quilting magazine I'm looking for color! 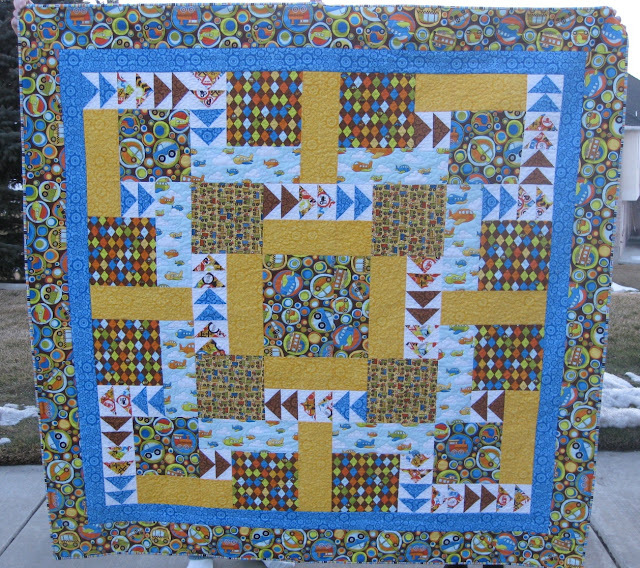 I love quilts with bright colors. Then I go back & look at everything more closely to see what I think I'd like to make. I follow Pieced Brain through Bloglovin. working hard on my city Girl blocks & thinking about how I'm going to put them al together. I look for clear instructions and a picture of the quilt full on. Pictures of quilts draped over chairs and things are beautiful, but I like to see what the total quilt will look like. Thanks! I love flannel - it is my favorite fabric to work with and make gifts from! Happy Anniversary and thanks for sharing it with us! I love quilts for the same reasons...comfort! I am a Bloglovin' follower and also by email. I look for projects that work don't require specific fabric lines to accomplish a quilt and use traditional blocks is fun new ways. I also look for techniques that broaden my skill set. Thanks! I follow your blog by email. Your quilt for your grandson is wonderful. I guess I look for simplicity and fun designs. I like it when the magazine has good instructions or where they can be found. And of course color is very important. In magazines I look for quilts that can be used with my stash - I don't like magazines that have quilts that need a specific line of fabric. Happy Blog-iversary! Happy Anniversary and more to come.I look for projects that haven´t curves .I look projects with clear steps and with diagrams. I get inspiration from the projects that I see in magazines... And usually I buy them only for one or two projects that I will make! I frequently use flannels for backing but I have seen some fantastic quilts lately pieced with flannel on the top. Gotta try this! I follow by email!! Happy Anniversary!!! Whoot !! Whoot!! I follow you by email. It's my avenue of choice. I love to use flannels too, especially for the backs. it makes the quilts so cozy! I am a follower via bloglovin and e-mail. I look for magazines with projects that I feel I would make. I like a variety in the size of the project because I don't always want to be making a bed quilt. I also like to find things that are new to me like a technique or a product. Sometimes simple quilts are the best quilts! 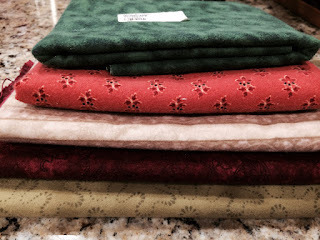 I often use flannel on the backs of quilts but live in AZ so I don't make flannel quilts! I need to be inspired by some projects in the magazine and do want to learn something new. I am an experienced sewer so easy is not always the spark for me. I love love color so any pics that are colorful will get me to that magazine. I follow you via Bloglovin. Happy blogiversary. I look for magazines that have a pattern that I think I might like to make. That might include embroidery or quilts that are good for guys (I have 3 sons!). I prefer that they not depend for their effectiveness on a particular line of fabric since I probably won't find it when I want to make the quilt several years down the line. I look for patterns, good tutorials and inspiration from a quilting magazine! I love "outside the box" blocks and designs....and truly get so much inspiration from you. I like to see variety in the patterns featured. I also really like seeing up close shots of the quilting. I look for quality pictures and tutorials with all the steps including pictures. I follow Pieced Brain on Bloglovin as Kathy Davis. I too like to browse and get inspiration. Even if it means creating something different that doesn't match what is in the magazine, there are often starts to projects ideas there. Truthfully I don't buy too many quilting magazines any more. The one I do buy is Primitive Quilts and Projects. So I guess I'm looking for that primitive style with wool. And a magazine that includes a little rug making and needle punching. I like large lovely pictures and plenty of blocks to play with. I look for easier projects in magazines. It seems like the instructions are so rushed in magazines so sometimes it is just hard to follow if the project is complicated. I look for smaller projects in magazines--ones that I can give for gifts. I enjoy just looking at beautiful quilts other people have made. I love looking at the quilts and getting new ideas. Then follow with checking out the new notions/tools and easy to make quick quilts for those days when I need a break from a large project. I look for amazing pictures and drawn diagrams.